Adam Garcia as ballet dancer Vaslav Nijinsky in BBC Two's Riot at the Rite, 2006. Nowhere was an audience more vocal in its disapproval than when Madame Butterfly fluttered into being at La Scala in 1904. The audience was already resistant to the opera as Puccini had been so secretive about the narrative. Things didn’t go well from Butterfly’s entrance, as “Quanto cielo” sounded too reminiscent of a passage from his earlier opera, La bohème. This triggered an annoyed outburst of “bohème, bohème!” from the audience. As the performance proceeded, the noise level from the audience rose to such an extent that the singers were unable to hear the orchestra. Laughing, hissing and jeering, the audience pointed with delight when the soprano Rosina Storchio’s kimono billowed out and shouted “Butterfly is pregnant!” and then followed it up with suggestions as to the possible father (Storchio was having a well-publicised affair at the time). In an idea which now seems astonishing in its riskiness, the performers were provided with bird whistles to signify the dawn. This provoked animal calls of all types from a near hysterical audience. Puccini described the opening night as “a lynching” and set about making numerous alterations to the piece. 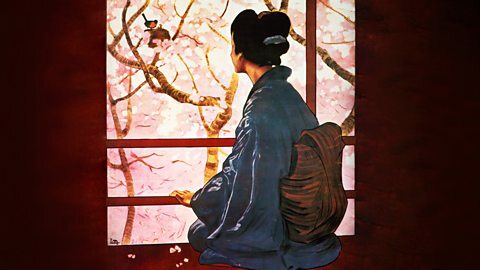 Why did Puccini have to rewrite the main theme to Madame Butterfly? Even those of us who have never seen an opera can probably sing a little phrase from Bizet’s Carmen, but it too had a rocky start when it premiered at the Opéra-Comique in Paris on March 3, 1875. Its journey to the stage had already been difficult as the work was seen as immoral and too salacious for performance, featuring as it does a passionate gypsy woman who seduces a gallant soldier. The Opéra-Comique was known for its family friendly pieces and the audience was scandalised. Singer after singer declined to be involved for fear of what it might do to their reputations and the directors of the opera house were very nervous. Eventually the mezzo-soprano Célestine Galli-Marie agreed to play Carmen and the opera opened. Its reception was not exactly enthusiastic on the night, and the reviews were dreadful. Bizet died just three months later. Poor old Edward Elgar could foresee disaster with the first performance of his Cello Concerto on October 27, 1919 at Queen's Hall, London. He was infuriated by the lack of rehearsal time which he knew would result in a dismal performance. Elgar considered cancelling the entire premiere but continued out of respect for cellist Felix Salmond, who had been working on it for several months. The critics descried it as “lamentable”, and the audience hated it. Salmond seemed to want to forget he had ever played it, hardly performing it again and making no effort to teach it to his students. It is now one of the two most performed pieces for the cello. One performer tripped over a trapdoor and had to sing a moving aria with blood pouring from his nose. The Rite of Spring has a fierce, pulsating rhythm which inspired one theatre-goer to accompany it on the bald head of the man in front. It is said that Serge Diaghilev, the man behind the Ballets Russes, was hoping for a scandal when he launched Stravinsky’s Rite of Spring to an over-excited audience on May 29, 1913 in Paris. And he certainly got it. The audience started to misbehave from the outset, people waved canes around in play-fights and men’s hats were yanked down over their eyes. The Rite of Spring has a fierce, pulsating rhythm which inspired one theatre-goer to accompany it on the bald head of the man in front. Critics struggled to hear the music over the riotous behaviour of the audience and no-one, to this day, is quite sure what inspired the skittishness. “...a fiasco. Was the fault mine or the singers? Time will decide.” So wrote Giuseppe Verdi to his secretary-pupil Emanuele Muzio in 1863 after the premiere of La traviata in Venice. The performance was conducted in modern dress, which earned the audience’s disapproval, as did the fact that the heroine is a courtesan who is portrayed sympathetically. It also didn’t help that the soprano playing Violetta, the high class prostitute, was too overweight for the role. Verdi however was philosophical, saying “future generations will appreciate this opera.” How right he was. He was a well-known drunk and he’d achieved a zombie-like state when he began conducting the under-rehearsed symphony. To have your premiere ruined by your own conductor is hard luck indeed. Sergei Rachmaninov’s Symphony No. 1 was not exactly given the greatest start when the conductor, Alexander Glazunov, arrived on the podium, plastered. He was a well-known drunk, reportedly swigging from bottles when teaching students at the St Petersburg Conservatory and he’d achieved a zombie-like state when he began conducting the under-rehearsed symphony. Rachmaninov hid on a spiral staircase in horror and then ran away to escape the booing. He began a course of psychotherapy shortly afterwards. A celebration of the autographed manuscript of Puccini's masterpiece, Madame Butterfly. Soprano Amanda Roocroft explores the impact of Madame Butterfly in performance and popular culture. 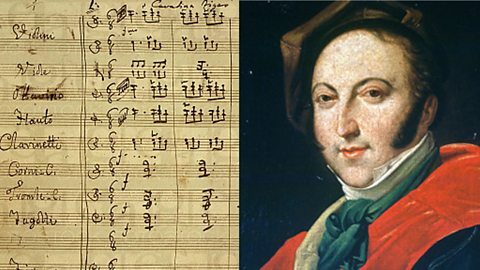 Frances Fyfield explores the handwritten manuscript of one of the most popular staples of Opera Houses across the globe. Personal stories set against the powerful emotional impact of Elgar's lyrical and passionate composition.